Today is my third day to attend AFCC 2017 conferences. It is an enriching experiences to listen to the speakers. I am trying to understand the speakers. It is also my first time to learn how to pitch my idea. Thanks to such deadline helps me to work on my Animation Pitch Bible for one night without sleep. Though I can’t finish assembling the written and created stuffs into the pitch bible, I feel so satisfied with the experience. I feel so privileged and grateful for the opportunity to be able to pitch my content to three media companies. Mixed emotions are going through my heart and mind. I feel excitement to anticipate for today’s event. At the same time, I also learn to talk about my ideas. I really appreciate for the listener’s kind suggestion on how to improve the plot further. 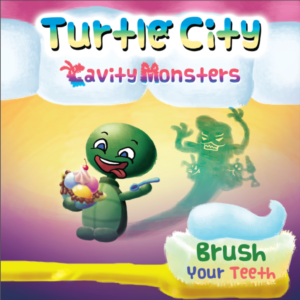 The pitched story is about cavity monsters lurking inside a toddler turtle’s mouth. After the pitching, I sense a feeling of relieve. Thus I feel calm and I have done my best. However, I still want to improve myself further. In conclusion, it is a great experience to talk about this story. It is a story inspired to guide my son the reason to brush his teeth.